Former Bush Deputy White House Chief of Staff Karl Rove has a new president urging Congress not to force him to testify next week. In a court brief quietly filed Monday, Michael Hertz, Obama’s acting assistant attorney general, said it was necessary to delay an effort to force Rove to be deposed in a congressional investigation into the firing of nine US Attorneys and the alleged political prosecution of a former Alabama governor. Hertz said an effort was underway to find a “compromise” for Rove, and requested two weeks to broker a deal before proceeding in court. The House Judiciary Committee sued the Bush Administration to force Rove to testify last year, saying that Rove shouldn’t be covered by executive privilege. They won. But their case has been held up by an appeal, and Hertz’s filing was the Obama administration’s first legal weighing-in on the matter. Obama’s Justice Department has supplanted the role of Bush’s Justice Department in the case, and their position will likely inform the terms under which Rove is questioned by Congress. Hertz’s statement mirrors a statement from Obama White House Counsel Gregory Craig published Saturday. Both Hertz’s and Craig’s statement point to an underlying challenge Obama faces with regard to Rove. Since former President Bush still claims that Rove is protected from testifying to Congress by executive privilege, even after departing office, Obama must decide whether he wants to risk diluting his own executive privilege in the future. These statements, however, stand in contrast to Obama’s previous rhetoric. House Judiciary Chairman John Conyers, Jr. (D-MI), who subpoenaed Rove as recently as last week and demanded that he come before Congress Feb. 23, refused a request from Rove’s attorney seeking a delay. 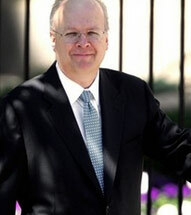 Rove didn’t show up on two previous occasions he was subpoenaed, once in 2008 and again in January. He didn’t honor a 2007 Senate Judiciary Committee subpoena either. The White House indicated in their latest filing that negotiations are ongoing between representatives of the Bush White House and the Obama team. Rove’s lawyer, Robert Luskin, told Raw Story last week that no agreement had been reached. A special prosecutor continues to probe what role White House officials may have had in the firings of the US Attorneys — which Democrats say were politically motivated. Rove also has been called to testify about his knowledge of an alleged political prosecution in Alabama, where a Democratic governor was jailed on corruption charges that may have been politically motivated. A whistleblower fingered Rove as pushing for the prosecution behind the scenes, which Rove vehemently and categorically denies.